Why don’t my models save? How come MMD cannot open the models in my saved dances? Why does MMD crash when I try to open a saved file? Why does MMD make me re-find all my models when I save them? 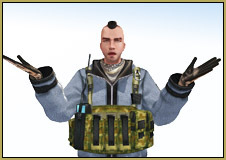 When MMD doesn’t work, many users are left with an “I dunno” feeling. Soap model credits go to the user “Myself”. Fixing MMD models that refuse to show up! Have you ever opened up a saved MMD file only to discover this message? Or worse; MMD crashes?! Well, if this ever happens to you, fear not. You did not break MMD nor does MMD have a virus. Instead, the system simply cannot find the model file you’re looking for because it can’t read the file. Now, if you have never seen this error screen then you’re likely using Western models, as this error normally effects Japanese models. Understand that when you download a Japanese model, your computer system is going to scramble to encode it. Now, unless you have a program in place that will encode it in English, your system will likely save Japanese text as a bunch of gibberish. So, instead of a file reading “東方” (“Touhou” or literally “Eastern”), your system may encode it as “É╬”. With this in mind, the error screens appear because MMD (both the English and Japanese versions) can’t figure out what “É╬” means and will therefore ask you to identify the file. On other occasions, MMD may just crash. So, how do you fix this issue? It’s actually not as hard you may think. For this example, I’m going to use Hinoichis’ Tomoe Mami model. First off, I download the model and unzip it. Next up, I’m presented with a window like this. Rename your PMD or PMX file … replace the gibberish! As you can see, a good chunk of the file is translated into gibberish. However, it’s only the model file we want to change as the folder name won’t really effect us much (though it’s still a good idea to rename it for organization sakes). So, let’s scroll down to the file itself and rename it. Since it’s Mami, we’ll name the file “Mami”. Remember to keep the .PMX or .PMD in the name, or else the file will break. So, with that all said in done, next time we save and open a file, we should be presented with Mami. Another issue that I haven’t noticed people talking about is how some file pathways are too long, leading to MMD being unable to find the model in a project file (.PMM, I mean). This is especially true of Arlvit’s models; for example, one of the Hong Meiling models, having a pathway like “紅美鈴Ver2.00_Rev.B\紅美鈴Ver2.00_Rev.B\紅美鈴Ver2.00_Rev.B\Model”. Of course, this pathway itself doesn’t appear too long, but it depends on how you arrange and categorize your models; if you have a pathway that includes 11 preceding folders, MMD will have trouble finding that model. However, there are instances when MMD will crash, even after you find the correct model for the .PMM. Sometimes the program will even crash when you try to open the .PMM file; this is something I discovered just now, although it was with a model of Luka Megurine and not one of Arlvit’s Touhou models. To be fair, the model of Luka is another long pathway (“Tda式改変ルカ リリス風 Ver109c\Tda式改変ルカ リリス風 Ver109c 配布用\Tda式改変ルカ リリス風 Ver109c 配布用”), which might have something to do with it, but the fact that it crashes immediately is pretty disheartening. Then again, the reason I’m saying all of this is because I just got my computer upgraded with an SSD, and I’m moving my MMD files to where they originally were. However, even so, when opening up the project files, MMD can’t find those models, so you’ll have to find them yourself. Anybody who took the time to read this can consider downloading penguinMMD’s “CreditHelper” program, which lets you drag-and-drop .PMM files and it lists out pathways of the models and files used in that project; if anybody out there is going to take their computer in to get a new hard disk or something, they would be wise to use this program for all their MMD projects. Don’t make the same mistakes I made; save what you can of your projects before getting a new hard disk, and use that CreditHelper program as necessary. Hello. I have MMD setup in WIndows 10, but whenever I click Save, or Save as, I get a popup that says “Save – Cannot open save file. So currently, I cannot save my projects. Does anyone know how to fix this? What folder is your MMD unpacked into? Where did you get the model? Where can I download it so I can take a look at it?? If it’s “your” model, as in that you edited it yourself, there are plenty of various reasons it could go sour. Open it in PMXE, select File->Pmx Info, and see what errors it detects. That usually is a good start. It’s a model that I made myself. The PMX info detected that some of my morphs had the same name, yet nothing in my model has the same name as anything else. I’ve checked everything, bones, morphs, everything. It also said that there were missing textures, yet there weren’t any missing textures. Neither duplicate morphs nor missing textures will prevent a model from loading into MMD anyways. How exactly is it failing to load? Is MMD crashing immediately, or soon after, loading? Are there any other errors listed in PMX info? Thank you that saved me. I renamed a file what it was then went back to original name. That solved that error and saved me from losing a giant scene. Thank you so much. Say what? … You saved a new dance file .pmm and now it will not open? … Do your models have scrambled / gibberish file names? Tell us about your experience… what did you do, what happens… any error messages? What about when MMD crashes every time you open a previously saved PMM file, but the model and MMD is all in English? I downloaded the latest version from here, and i made my own model from scratch in Metasequoia. I tried to animate with it, and the model works just fine. i went and saved the PMM file, since it also crashes every time i go to convert it to an AVI file. i tried to do that, and MMD crashed. after reopening it, and trying to continue where i left off, MMD crashes now every time i try to open my previously saved PMM file, and i don’t know how to fix it. i Think something is wrong with the latest version, and i’ve had nothing but problems with it. Please help, or at least explain what’s happening. Thank you! I assume that you used a model to make a PMM file, then made some updates to the model, and then tried to open a PMM that has records of an *old* model along with the *new* one. Sometimes that happens. First, try just to load the new model into an empty MMD to see if the model itself crashes it. If it does, you’ll have to fix it. If it does not, see if you have the backup of the model you made before applying changes (*ALWAYS* keep backups! If the model is something you’ve downloaded in the first place, re-download it and keep the original in a safe place). If so, temporarily remove/rename a new model and substitute an old one in its place. Load the PMM, select the whole animation of your model and save it as a VMD file. Then restore the new model and load the PMM again. When it warns you that the model has changed, choose to skip that model. Then load a new version and apply a VMD motion to it. You still may need to redo parts of your work (for example, re-apply effects you used on the model), but that’s better than nothing. If you don’t have a working backup, you’re out of luck. I have this problem now. All of my models are in English and were downloaded in Deviantart. I saved my work on a pmm. file and was able it to open it without problems. However, just today, MMD gave me the Cannot Open Model File error. I tried to select the model but… IT WASN’T THERE! When I look for it outside of MMD, it’s there. But when I search for it when MMD needed me to, my model files weren’t there at all. I tried renaming it over and over but it doesn’t work. Can anyone help me please? Now that’s some weird behavior. You have to try as many different things as you ever can guess of, in order to pinpoint the culprit. Can you drag-and-drop a model into MMD? Can you open it in PMDE/PMXE? Can you open stock Animasa models that came with MMD? If you install a fresh copy of MMD into a different folder and copy your models there, will it open them? And if you re-download them again into that new installation? Does MMD see the Models folder itself? Right-click on any model there and look at its Properties panel – anything weird?